With Rieks op den Akker, Ben Krose and Care-o-bot3 at Kerstin Dautenhahn’s robot house in Hertsfordshire. The EU FP7 project ACCOMPANY has started! At HMI, we will investigate robot roles, personalities and long-term interaction in home environments. New foto of our Human Media Interaction Group at Twente University! And there it is! 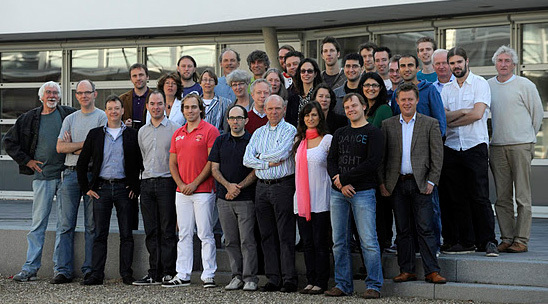 A foto of the entire HMI team (give or take a couple of people).